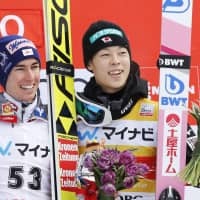 SAPPORO - Japan’s Ryoyu Kobayashi finished third in the competition in Sapporo on Sunday, landing on the ski jumping World Cup podium for the first time in four meets. Kobayashi recorded jumps of 124.5 and 129.5 meters in the large hill individual event to finish with a total of 236.6 points. Stefan Kraft of Austria won his third straight gold with 248.2, while Timi Zajc of Slovenia was runner-up with 238.4. 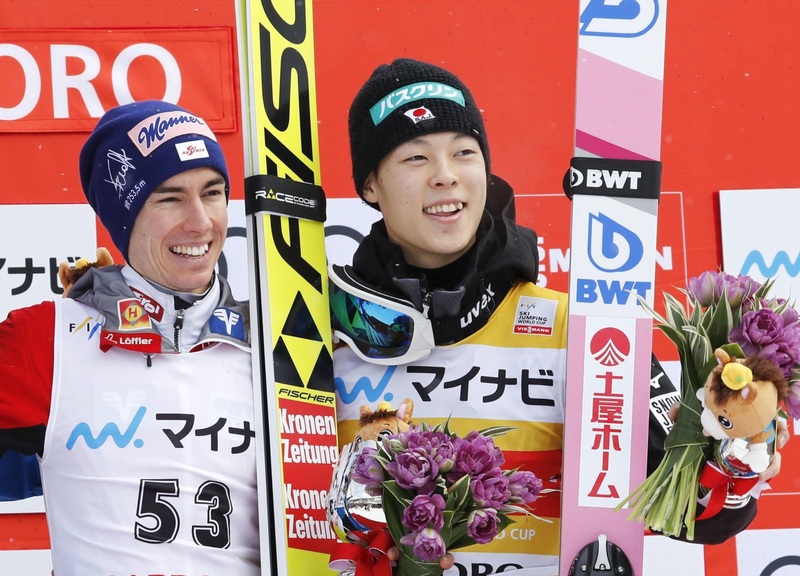 Japan’s eight-time Winter Olympian Noriaki Kasai finished seventh for his best result of this season. Kobayashi has won nine events on the World Cup circuit this season. Earlier this month, he became the third man in history to complete a clean sweep of the prestigious Four Hills Tournament when he clinched the final leg in Bischofshofen. He has a clear lead in the overall World Cup standings but has missed the podium since winning an event in Val di Fiemme, Italy, on Jan. 12.